This has been a great week for Pakistani cinema with three amazing movies launched on Eid 2018. I watched Parwaaz Hai Junoon last week and tonight watched Load Wedding in Calgary. Here is my Load Wedding review. I love that all three Pakistani movies released this Eid are different and this is a reflection that the cinema is maturing. While Parwaaz Hai Junoon is patriotic, and Jawani Phir Nahi Ani 2 for laughs (I still have to watch it though), Load Wedding tackles important social issues and gives the audience great messages packaged in laughs. Load Wedding is a story from a small town in Punjab and is authentic to the core in the language, clothes, locations and all small details. We see the life, challenges and aspirations of 95% of Pakistan. They might be poor but their lives are colorful and they have the same dreams as all of us. How easy it is to laugh at people clamoring for mobile phones on games shows on TV and how grounding it is to realize where they are coming from. 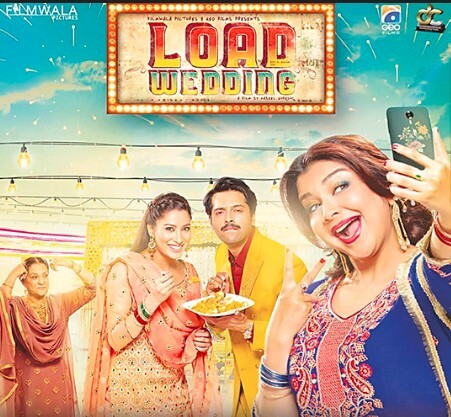 Load Wedding tackles important social issues such as dowry, the taboo of marrying a widow and what TV channels are willing to do for ratings. However, the writer does a great job of keeping the mood light with a peppering of jokes. For me the hero of the film was the hero’s friend who also provides the narration of the story. Mehwish Hayat, as the lead actress has an important role and Samina Ahmed is my absolute favorite as the mother! Fahad Mustafa does an impressive job of taking on the role of a very Punjabi hero. The shots are beautifully done and show an authentic view of Punjab. Load Wedding is a different sort of entertainment since there are serious undertones and lots to think about. I just wish it didn’t drag a bit in the beginning but it picks up later. I hope such cinema helps change behavior and perceptions in Pakistan. Hope you enjoyed my Load Wedding review. Have you seen the movie? Next Post HelloFresh Review: Convenient, Delicious and Healthy Meals!